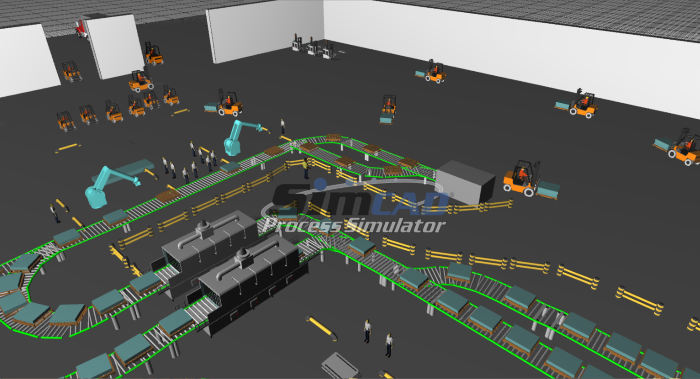 Using Simcad Pro Elite, creating a 3D replica of your operation has never been easier! 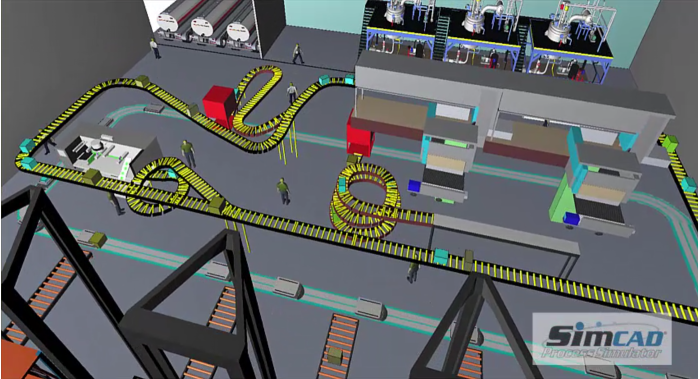 Once the 2D flow is created, the 3D environment is automatically generated and moving to the custom 3D simulation environment is as simple as the “click” of a button. 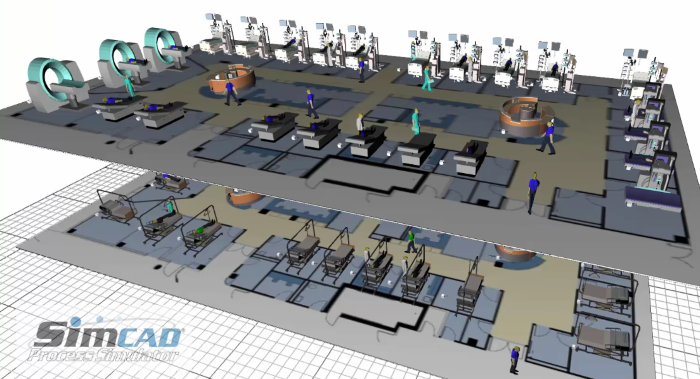 Make your next presentation unforgettable by utilizing Simcad Pro's fully integrated 3D functionality to provide an accurate visual representation of your facility layout and operational flow. Integrated 2D and 3D visualization engine provides both 2D and 3D visualization with detailed animations. 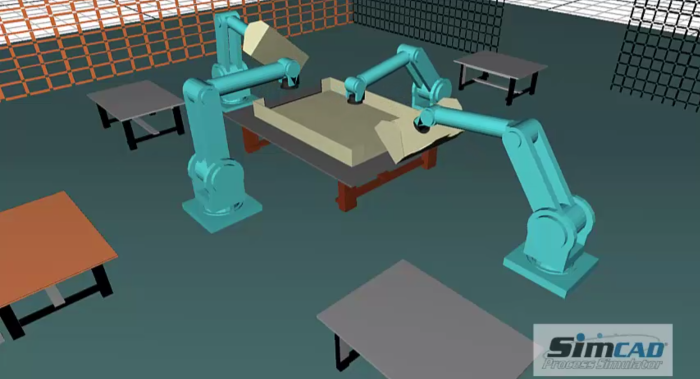 Assign custom 3D images to resources, objects, processes. The Resource/Object follow feature allows the user to gain first hand perspective regarding travel distances and bottlenecks, by choosing a specific object or resource type to follow throughout the system. Watch as things progress in “real time” throughout the operational flow. 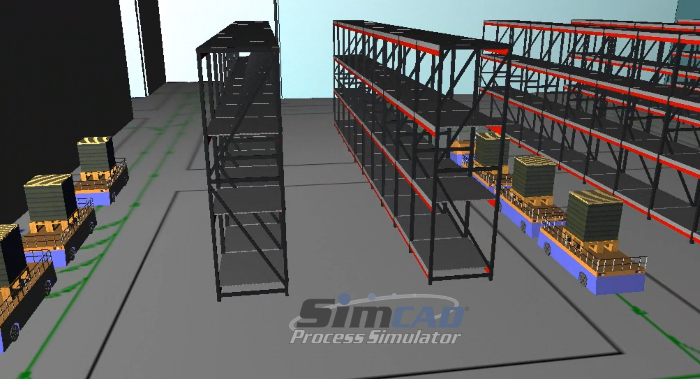 Create your process flow using Simcad Pro’s drag and drop interface. As with Simcad Pro’s 3D modeling environment, default objects may be used, or for a custom presentation, just browse the Simcad Pro library or your personal image files to assign the custom image of your choice. As the user creates the process flow in the Simcad Pro window, the animation is automatically created, both in 2D and 3D, providing a visual flow based on the state of the simulation engine. Assigning custom images in multiple 3D and CAD file formats is a simple as browsing through the image library or your personal image folders. LEAD, JPEG JFIF, JPEG JTIF, TGA, TIF, CALS 1, Macintosh 1, GEM Image 1, MS Paint 1, Word Perfect, SUN Raster, Mac PIC 1, Windows BMP, OS/2 BMP, PCX, GIF, WMF, EPS, CAD, Solid Works. Start working with Simcad Pro Today. Full working version – All features enabled.